These beautiful and delicate ornaments are cut from 1/4" plywood and then painted orange. 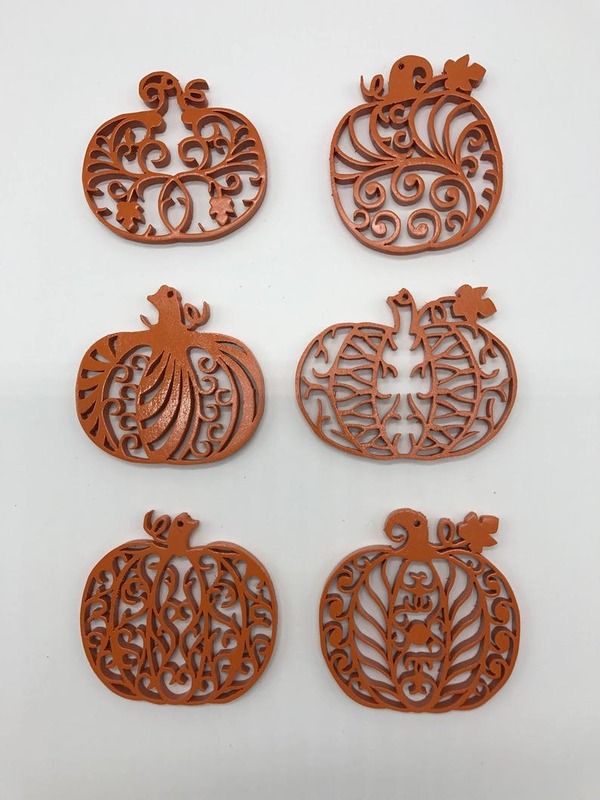 The set contains six different filigree pumpkin designs. Each ornament is approximately 3 by 3 1/8". These ornaments can be used for both Halloween and Autumn decorating. These came right away and are perfect! They are expertly crafted and exactly as described.